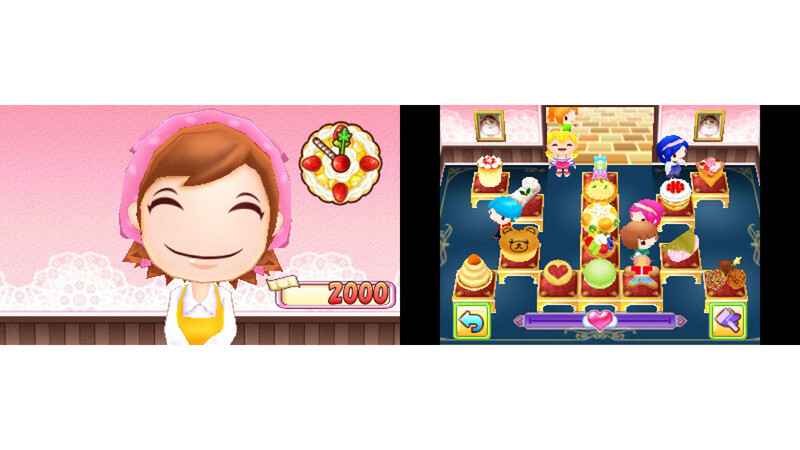 In Cooking Mama: Sweet Shop players make and create a wide assortment of delicious looking sweets and puddings, and serve customers in the shop to keep them happy! 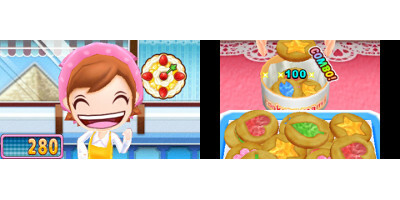 There are 60 different recipes to create by taking part in over 160 different mini-games. 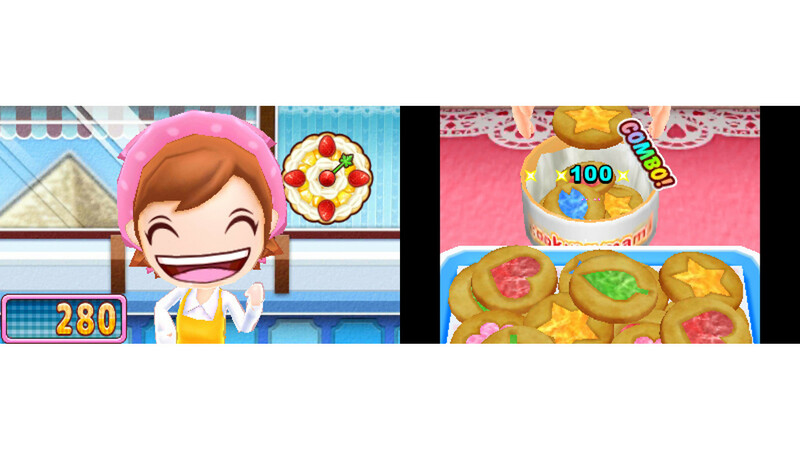 Players use the Nintendo 3DS stylus and even the microphone to cool, slice, stir, bake and decorate their creations. And just like always, don’t worry if you make a mistake – Mama will fix it for you! 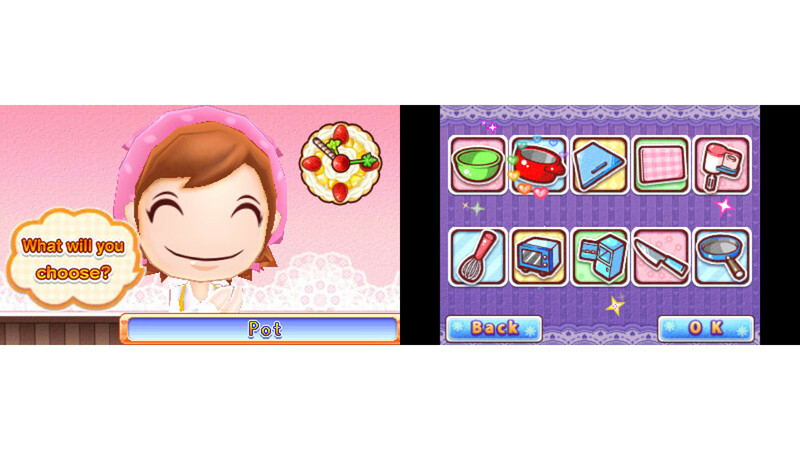 The latest game in the beloved Mama series! 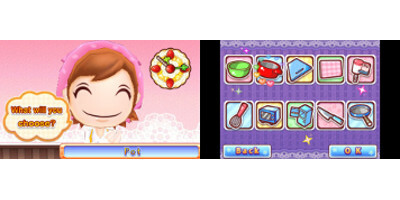 Make and create many different delicious sweets and puddings. 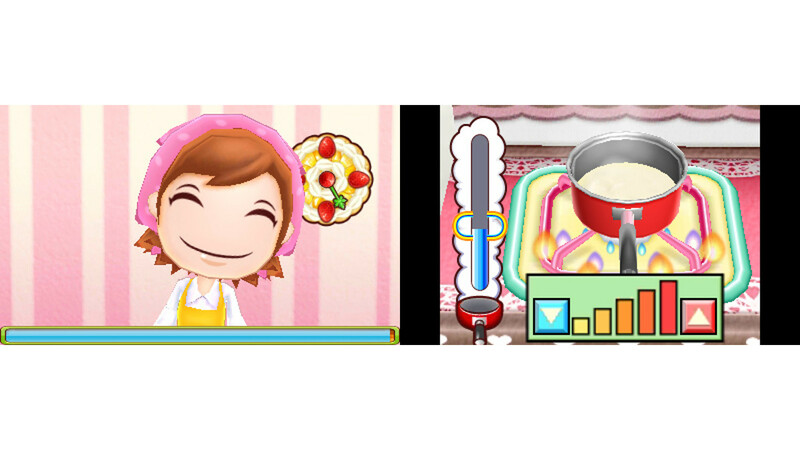 A cooking game with intuitive controls that players of every age can enjoy. 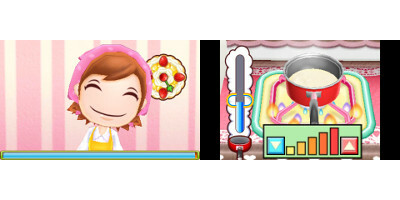 Create 60 recipes in 160+ mini-games by using the stylus and even the 3DS microphone. Arrange and display your sweet creations in your very own sweet shop and provide them to your happy customers. Create more sweets to expand your sweet shop and trigger special events for your customers.